A Beautifully Constructed Mild, But Complex Cigar, Full of Fruity & Creamy Notes, with hints of Honey springing up throughout a Totally Enjoyable Hour of Smoke. Got the box today, trouble free thank the lords of cigar heaven. I usually wait a few months before trying but couldn't help myself, been waiting to try these for a long time. Started with a lot of bitter pepper which was a surprise, but soon produced that muddy water earth flavour similar to Bolivar Royal Corona, with a creamy finish and hints of honey sweetness on occasion. The mix of earth and honey, and creaminess continued until the end with the strength picking up towards the midway point to end of cigar. Definitely not the mild cigar I was expecting, but a more complex profile switching between sweet and earthy. This is a cigar that gets better with age. It's mild in-depth flavors is one of the best when properly stored for a couple of years. But if you intend to smoke now, it is a mild but full spectrum of complex flavors. That only time will just make this cigar better and better. If you don't understand that and won't appreciate the complexities of the cigar. It's like visiting an old friend that never lets you down. One of my favorite cigars. 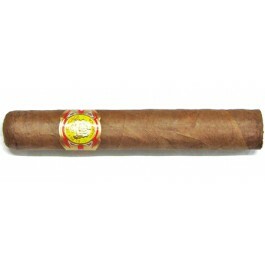 Complex flavors develop as one smokes on with this relatively mild cigar. The construction is quite nice, however, an occasional uneven burn can occur. I wish the discontinued sizes would become available again.